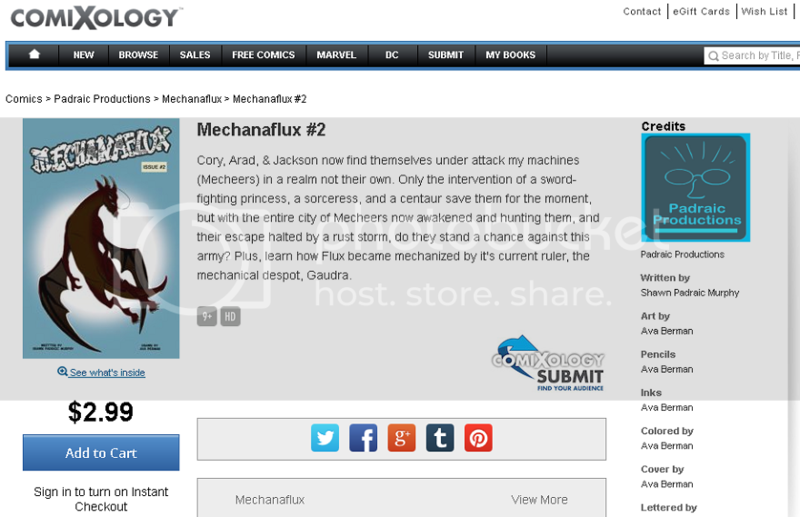 You can now order the 2nd issue of Mechanaflux on Comixology. It’s exciting to see these issues go up on the largest digital comic platform in the world. In this chapter, Arad, Cory, and Jackson finally meet up with the other half of the cast, meet a ‘fearsome’ dragon, and learn to fight…ok, RUN from metal death machines. You also learn the origin of Gaudra, the ruler of all of Flux, and the one on the verge of wiping humanity from the planet.